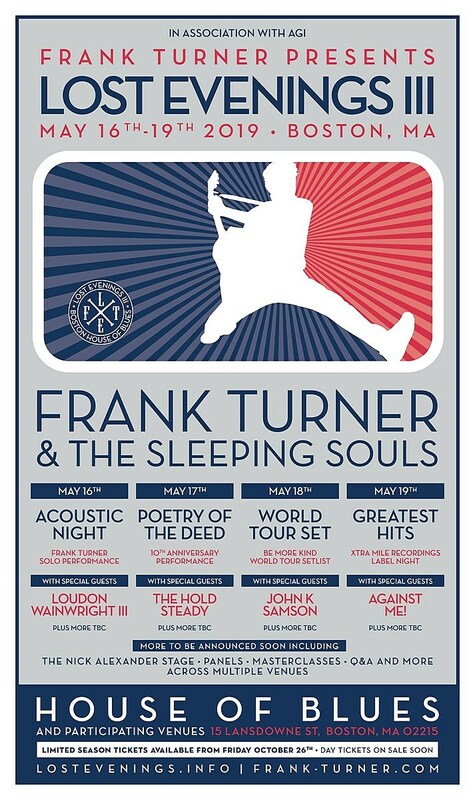 UPDATE: BROOKLYNVEGAN PRESALE PASSWORD FOR NJ SHOW HERE. 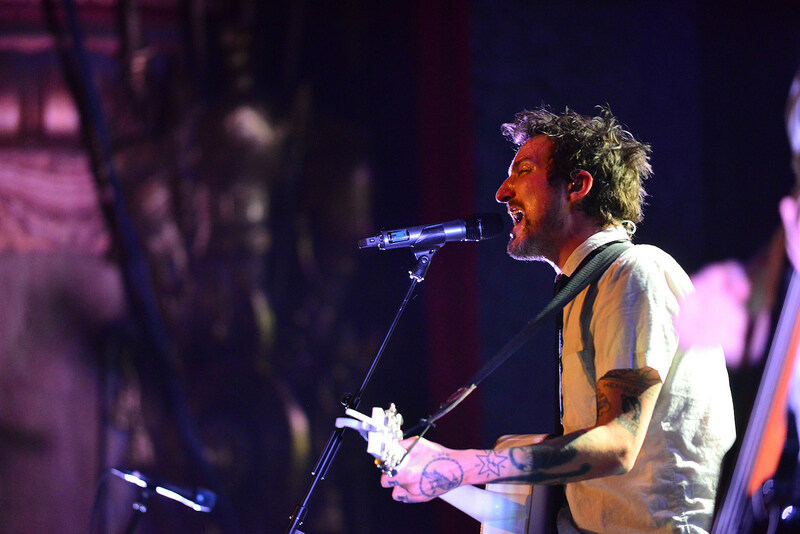 Leading up to Frank Turner‘s previously announced Boston run (with Against Me!, The Hold Steady, John K Samson, and Loudon Wainwright III), Frank will be playing other US shows in Connecticut, Tennessee, New York, and New Jersey with Murder By Death opening all dates and Against Me!, Tim Barry and Rebuilder on select dates. 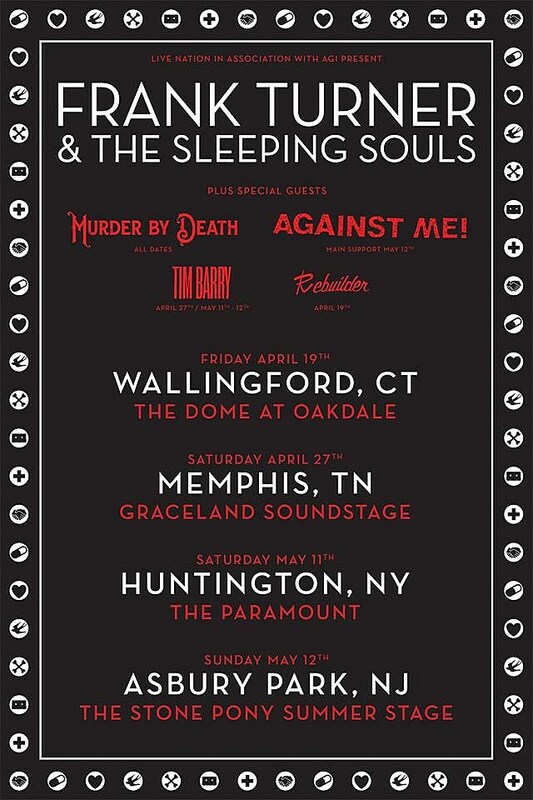 The NY show is at Long Island’s Paramount on May 11 with Murder By Death and Tim Barry, and the NJ show is at Asbury Park’s Stone Pony Summer Stage on May 12 with Murder By Death, Tim Barry, and Against Me!. Tickets for the newly-added shows go on sale Friday (2/15) at 10 AM with a BrooklynVegan presale for NJ starting Wednesday (2/13) at 10 AM. Check back here Wednesday morning for the password. 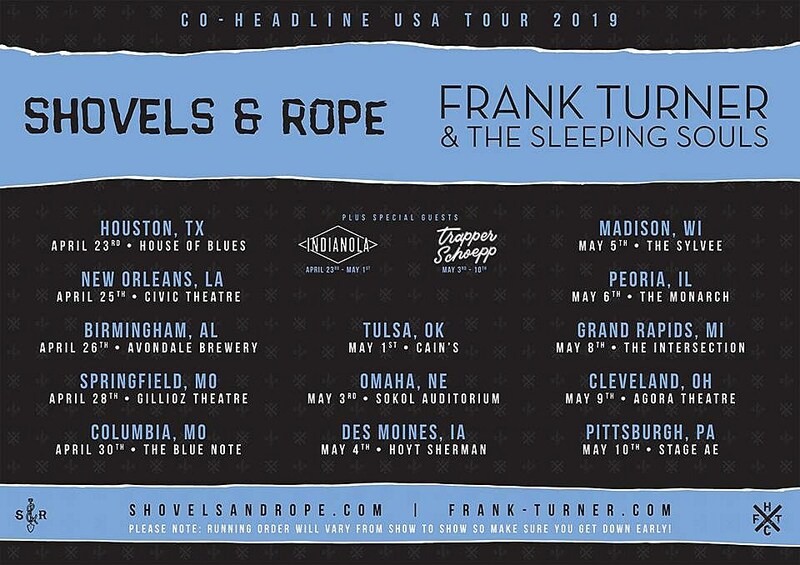 Frank also plays Flogging Molly’s cruise, and he has a co-headlining US tour with Shovels & Rope, as well as several upcoming dates overseas. See his full tour schedule HERE. Frank also recently released the Don’t Worry EP. Stream that and see the posters for his newly-added US shows, his Boston run, and his tour with Shovels & Rope, below. Against Me!’s Laura Jane Grace released her solo debut Bought To Rot last fall, and we named it one of the best punk albums of 2018. She’s also touring with Mercy Union and Control Top, including NYC’s Bowery Ballroom on 4/18 (tickets) and Asbury Park’s House of Independents on 4/20 (tickets).